Don't miss out on the One Day Traditional Chinese Dress Rental in Jiufen for the most special experience in Jiufen! You can also check out Skyline Teahouse, Shan Cheng Creation House, Jioufen Teahouse, and Amei Teahouse to experience the traditional Taiwanese tea culture in Jiufen! Don't let the chance of viewing spectacular landscapes slip through your finger! Buy Yehliu Geopark Admission Ticket now! 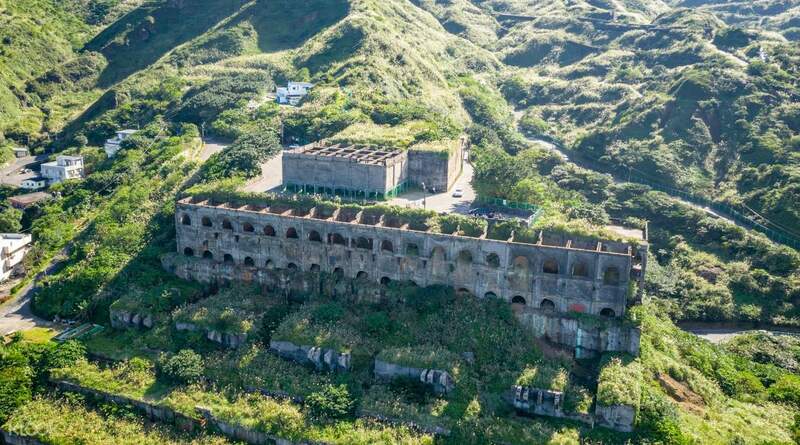 Avoid the pricey taxi fares or crowded tourist buses and embark on the most flexible and most convenient way to visit Yehliu Geopark and the scenic sights of Taiwan's northeast coast - take the Yehliu Geopark shuttle bus from Ximen! 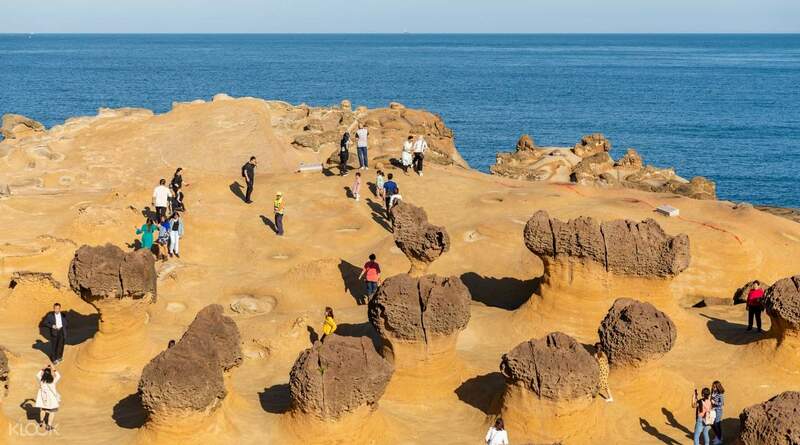 Depart from Ximending and drive to Yehliu before the crowds to take in the incredible scenes of fascinating 'honeycomb' and 'mushroom' rock formations caused by weathering. Stroll along the windy cape and snap pictures in front of the phenomenal Queen's Head rock - visit now as it's predicted the formation won't be around many years more! 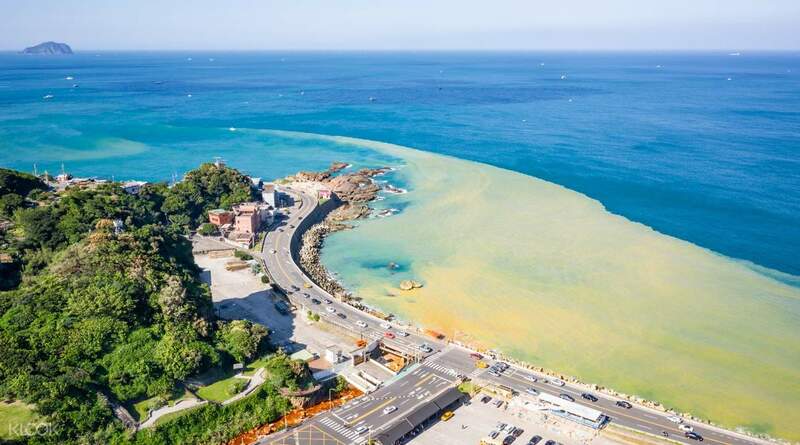 Next you'll drive past the 'Ying Yang Sea' where natural ions create a swirl of blue and yellow water in the bay, reminiscent of the ancient Chinese symbol. Look up hill to see the 'Remains of the 13 Levels', a former copper-smelting refinery, but now a popular spot for some industrial-chic Instagram snaps, then see the glittering cascade of the Golden Waterfall. 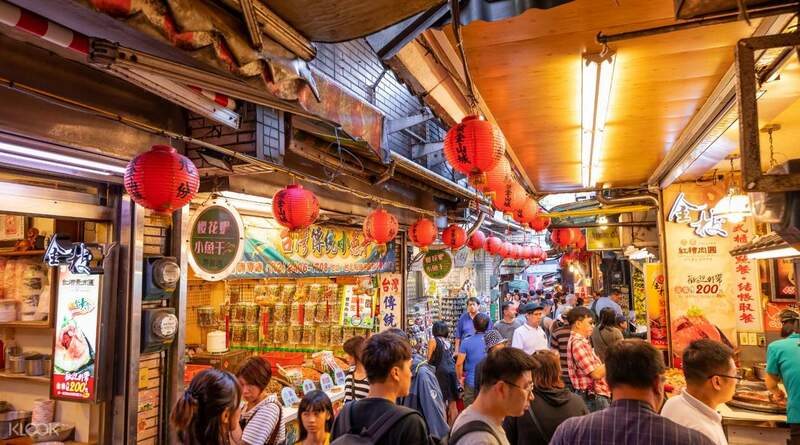 Continue up to the top of the hill to Jiufen village, one of the most popular things to do in Taipei. 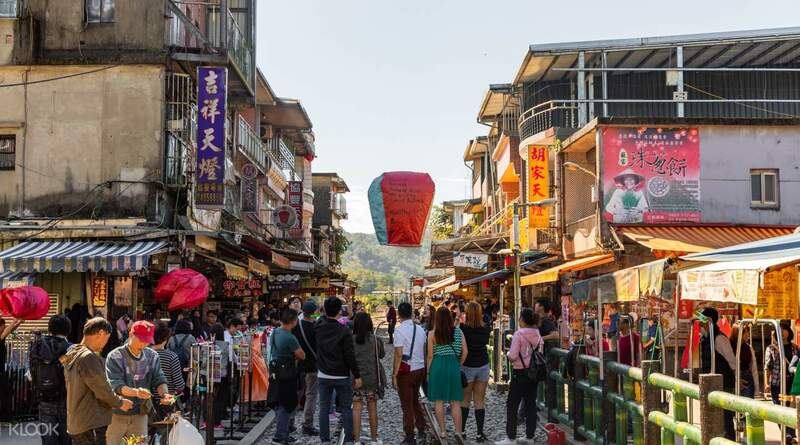 Jiufen, which experienced a gold rush during the Japanese occupation, is a maze of narrow alleys, traditional stores, red lanterns and quaint tea houses nestled into the mountainside. After two hours of freetime, journey to Shifen, a village built beside the rail tracks, where you can paint a colorful lantern with your wishes before sending it gliding into the sky. Hop back on the Taipei shuttle bus to be delivered back to Ximen in time for dinner. best tour, easy instructions of where to meet up. if you just want to have a quick glance at each destination then this is it. our bus carried 37 people from different background but everyone turned up on time at each destination which made the tour work smoothly. English tour guide provided. to me it is just like a private tour but the cost is so cheap. I will definitely use klook again to book tours. best tour, easy instructions of where to meet up. if you just want to have a quick glance at each destination then this is it. our bus carried 37 people from different background but everyone turned up on time at each destination which made the tour work smoothly. English tour guide provided. to me it is just like a private tour but the cost is so cheap. I will definitely use klook again to book tours. Had a great time during our Taiwan trip. Value for money tour although sometimes might not have enough time for all the locations as theres quite a few places and there's limited time so not so much for people who like to roam around longer. Had a great time during our Taiwan trip. Value for money tour although sometimes might not have enough time for all the locations as theres quite a few places and there's limited time so not so much for people who like to roam around longer. This sum up our trip, save the best for last! I really appreciate the view it is very very nice!! such a superb experience. Not to mention the fluent english speaking guide, all is well for this trip. Now, I understand why it is always fully booked. Don't leave Taiwan without having this experience. Thanks a lot Klook! This sum up our trip, save the best for last! I really appreciate the view it is very very nice!! such a superb experience. Not to mention the fluent english speaking guide, all is well for this trip. Now, I understand why it is always fully booked. Don't leave Taiwan without having this experience. Thanks a lot Klook! this place is amazing. i haven't seen so many rock formations like these of Yehliu. I was ecstatic of the scenery, it was joy to my heart. I would love to take my mother and kids again. Yehliu trips was worth it. And i would recommend this place to my friends back in my country. this place is amazing. i haven't seen so many rock formations like these of Yehliu. I was ecstatic of the scenery, it was joy to my heart. I would love to take my mother and kids again. Yehliu trips was worth it. And i would recommend this place to my friends back in my country. This day tour is well worth it, even made more special by our amazing and superb tour guide, York Hsieh! York was very knowledgeable on all things Taiwan/Taipei and he shared a lot of useful information and tips on destinations, food, and culture, which made our trip more enjoyable. He was approachable, accommodating, funny and pleasant--the best tour guide ever! We got to see and experience a lot of Taiwanese culture in a day. This is one tour that shouldn't be missed. This day tour is well worth it, even made more special by our amazing and superb tour guide, York Hsieh! York was very knowledgeable on all things Taiwan/Taipei and he shared a lot of useful information and tips on destinations, food, and culture, which made our trip more enjoyable. He was approachable, accommodating, funny and pleasant--the best tour guide ever! We got to see and experience a lot of Taiwanese culture in a day. This is one tour that shouldn't be missed. Our guide Ms. Sonia and driver Mr. Lou were both very professional. We left the meeting point on time and arrived on all the sights on time. It was also nice that we got back to the city earlier than expected. The tour guide was very nice and energetic. Our guide Ms. Sonia and driver Mr. Lou were both very professional. We left the meeting point on time and arrived on all the sights on time. It was also nice that we got back to the city earlier than expected. The tour guide was very nice and energetic. Q: Can I leave the group after we get to Shifen and we will go back to Taipei by ourselves? A: Yes, but please make sure that you tell the driver at the beginning of the tour or when you get off the bus at Shifen so that the driver and the passengers on the bus don't wait for you. Please note that you won’t get any compensation if you don’t take the return journey. You will have to organize your own transport back when you decide to return. Q: Does a 2 year old child need to buy a ticket? A: Yes, all travelers must buy a ticket, even babies. The price is the same as for adults. The charge is mainly for the operator to buy insurance for every passenger. Q: Can we bring our luggage onto the bus? A: Sorry, please don't bring your luggage with you on board. Please kindly understand that space is limited on the bus and cannot be left in the aisle for safety reasons.